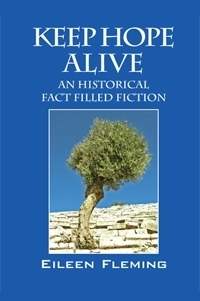 I answered that question in the first chapter from my second book which has been Dedicated to the Christians in Israel and Palestine with hope that their Exodus will cease and the land we call Holy will be Whole indeed. I never went to journalism school, but when I was a kid, I wanted to grow up and be Brenda Starr: the red- headed ace investigative journalist of the Sunday comics. I even worked as a copy girl for one year after high school, but decided to go into nursing which led me to meet, fall in love with and marry a doctor, which enabled me to travel six times to the Occupied Palestinian Territories in the last three and a half years. My first journey in June 2005 was as the Christian delegate of the interfaith non-profit Olive Trees Foundation for Peace. I am one spoiled American who lives a comfortable life on ten acres in paradise: an environmentally protected sanctuary atop of the aquifer in the Green Swamp of Central Florida. I am a homebody and never cared to fly anywhere, even before that day we call 9/11. But I have been compelled, impelled and propelled by a force greater than myself, to return knowing full well, my heart will be broken again. I was raised in a Catholic family, but gave up on the Institution in the summer of 1964. I never doubted there was a God, but at the tender age of ten, I decided to find my own way and listen to my heart to lead me to the truth and light. But, at the age of twenty-seven, from the pit of hell I had created, I cried out “HELP!” There are no words to describe the overwhelming sense of connection I felt to the Mystery we call God, but I knew in my gut, that He/She understood me and loved me just as I was. That moment also was the beginning of my journey and desire to discover what exactly I was created for. I explored every denomination Central Florida had to offer, but I never was a Pentecostal or Episcopalian; although I attended both churches as I searched for a home in the institutional church. It was not until I broke bread with the Christians in Palestine, did I experience a visceral sense of belonging. This book is dedicated to them with the hope that their Exodus from the Holy land will soon end. As of this writing, no Palestinian Christian has ever strapped on a bomb and committed suicide/homicide. The Christian Exodus of the Holy Land has reduced their numbers from 20% of the total population to less than 1.3% since Israel became a state in 1948. The reasons are primarily the forty years of occupation, the oppression, The Wall, the lack of economic opportunity, the daily humiliations at checkpoints, the hassle of obtaining permits to be able to move about, ineffective and corrupt governments, the rise of fundamentalism in all three branches of Father Abraham’s offsprings and the violence and destruction that surrounds. With the justification of war and violence supplied by Augustine’s Just War Theory, wrong became right. Nothing much has changed in two millennia, for in today’s Orwellian world politicians claim the way to peace is through war and that nuclear weapons provide protection. I don’t care who wears the uniform, or how noble they believe their cause, war is the ultimate form of terrorism for any civilian caught in the crossfire of violence. Even as a kid, I could not understand the logic that promoted the need for Hiroshima and Nagasaki to save American lives; and why there was never a mention of repentance for the innocent that died. Eisenhower warned America not to bind our economy to the Industrial Military Complex. But, like most prophets, he was ignored. In 313 AD, Emperor Constantine legitimized Christianity and thus, those who had been considered rebels and outlaws began to enjoy political power and prestige. Jesus’ other name is The Prince of Peace, and with the marriage of church and state, his true teachings were reinterpreted. The justification of warfare and the use of state sponsored violence corrupted what Christ modeled and taught. Jesus was always on about WAKE UP! The Divine already indwells you and all others. Christ taught that to follow him requires that one must love ones enemies; one must forgive those who hate, curse and revile them, without a thought of payback. Christ lived a life that proved evil can be opposed without being mirrored, and that the cycle of a “tooth for a tooth, an eye for an eye”, will never bring peace and justice. Before Emperor Constantine brought Christianity into the mainstream, all the early Church Fathers taught that Christians should not serve in the army but instead willingly suffer rather than inflict harm on any other. The term Christianity was not coined until three decades after Christ walked the earth. Until the day of Paul, followers of Christ were called members of The Way; the way being what he taught! Christ was never a Christian, but he was a social justice, radical revolutionary Palestinian devout Jewish road warrior who rose up/intifada and challenged the corrupt Temple and disturbed the status quo of the Roman occupying forces by teaching that God was on the side of the poor and the outcast. Clement, Tertillian, Polycarp and every other early Church Father taught that violence was a contradiction of what Christ was all about. There have always been those Christians who spoke out against this corruption of scripture and they have been ignored, reviled, rejected, mocked, persecuted and maligned throughout time. There have always been Christians who have never abandoned the true teachings, such as the Quakers, Mennonites, some Catholics and Protestants who have been faithful witnesses to Christ by denouncing violence and caring for the poor. There have also always been Jews, Muslims, atheists, anarchists, secularists and other’s who have lived lives that embody the message of Christ. It is a spiritual battle we all fight, for both good and evil cut through every human heart. Because all life is interconnected and interdependent we are all forced to deal with the war within the individual human heart when ever it erupts into society and issues forth from the political realm. On my second day of my second journey to Israel and Palestine, I rode upon the treacherous and the only way to the newly recognized village of Ain Hod, home to the locally famous Albeit Restaurant. The food is so good there that even the settlers will leave their smooth well maintained by-pass roads and travel up the mountain side upon a narrow winding rocky unpaved way that edges a cliff with a 300 foot drop. The owner of the well renowned restaurant where many settlers dine on the weekend is Mohammed Abu Haija. Soft-spoken and patient, he explained the upside down illogic of the Unrecognized Villages. In 1948 when most of the indigenous population fled their homes and property, some citizens held their ground, dug in and nonviolently endured being treated like sub-human beings. The Unrecognized Villages are not on any map and yet these people all have Israeli citizenship, pay taxes yet receive no services. The Israeli government had deemed these scattered villages as military zones and agricultural areas so homes were demolished, and people have lived for decades without water, electricity, schools or medical care. The Israeli settlers 400 meters away have swimming pools and every comfort known to man. On the fortieth anniversary of The Declaration of Human Rights in 1998 Mohammed and others formed the “Association of 40” and they have worked in solidarity and nonviolently through the court system to be recognized, to receive water, electricity, roads and human rights. In 2006, in Israel, there are still 100 Unrecognized villages with over 100,000 tax paying Israeli-Arab citizens who live in third world conditions. 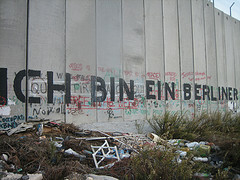 The Wall is composed of 25 to 30 foot high concrete slabs with razor wire, trenches, sniper towers, electric fences, military roads, electronic surveillance, remote controlled infantry and buffer zones that stretch over 100 miles wide that deny Palestinians access to their land, families, jobs, and resources. The Wall will completely separate Bethlehem and her sister villages of Beit Sahour, Beit Jala from the northern parts of the West Bank. Because of Bethlehem’s significance to and historic ties with Palestinian East Jerusalem, Bethlehem’s economic demise may well mark the beginning of the end of a viable Two-State solution. If The Wall is completed in this area, 4000 dunums of the areas most fertile land will be isolated in order to accommodate for the expansion and the building of the colonies/settlements of Gilo and Har Gilo. This means Beit Jala will have no potential for expansion. This growing ghettoization of Bethlehem is not only destroying ancient communities, but the influx of nearly 900 new settlers, and plans for 30,000 new settlers to colonize the occupied West Bank, violates the Road Map, which prohibits settlement expansion. The Wall and all of Israel’s settlement colonies are illegal under International Law. In the year 2000, in Beit Jala, west of downtown Bethlehem some hopeless militants infiltrated the previously peaceful Christian village to shoot into the illegal colony of Gilo a few miles away. The Israeli Defense Force retaliated and the bedroom of George was decimated. The shrapnel that pierced the wall of his sanctuary read “Made in USA” and was delivered from American made Apache helicopters that buzzed over his head. 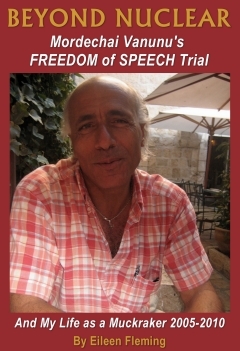 I first met George of Beit Jala in June 2005, shepherded by an Internet connection, George Rishmawi, a Palestinian Christian. My first trip to Israel Palestine was via my connection to the interfaith, non-profit Olive Trees Foundation for Peace, dedicated to raising awareness and funds to help replace the olive trees The Wall has brought down. I have been drawn to return three times since in less than a year since, to bear witness and report about the Christian Exodus. During my initial visit with George of Beit Jala, I learned that he, his sister and mother all suffer from post traumatic stress syndrome, but most governments just consider that collateral damage. George’s father told me he has no bitterness about what happened even though the snipers had not even been near their home. The most difficult thing for him was the lack of employment opportunities in Bethlehem and being dependent on relatives and friends to feed his children. In June 2005, George and his sister Ghada were both painfully shy and neither was doing well in their school studies. But, when I visited them six months later, they both greeted me with the typical Mid East greeting to a friend; a hug and kiss on both cheeks. 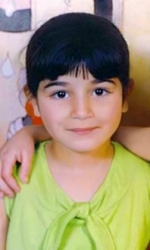 George was doing better in school, but Ghada was still frequently depressed and struggling. When I revisited them in March and November 2006 I was awed by the resiliency of childhood; both were laughing, playing with cousins and friends and making A’s at the private Christian school they both attend, tuition paid by anonymous Americans. The only way to security for Israelis and justice for Palestinians, is to end the occupation and ensure that all people have equal human rights. No enduring peace, no security, and no reconciliation is even possible without the foundation of justice. Justice requires mercy and is always nonviolent. 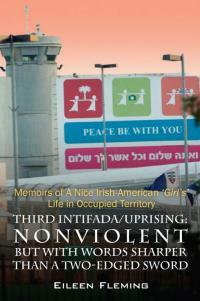 The First Intifada began in 1986 and was a spontaneous and mostly nonviolent phenomenon. On October 1, 1986, the Israeli military ambushed and killed seven men from Gaza believed to be members of the Palestinian Islamic Jihad terrorist group. Several days later an Israeli settler shot a Palestinian school girl in the back. On December 4, 1986 Shlomo Sakal, an Israeli plastics salesman, was stabbed to death in Gaza. On December 8, there was a traffic accident in which an Israel Defense Force truck crashed into a van, killing 4 Palestinians from Jabalya, sparking anger and street fights against Israeli policemen and soldiers. On December 8, 1986, an uprising began in Jabalya where hundreds burned tires and attacked the Israel Defense Forces stationed there. The uprising spread to other Palestinian refugee camps and eventually to Jerusalem, the eastern part of which was and is still occupied by Israel. On December 22, 1986, the United Nations Security Council condemned Israel for violating the Geneva Conventions due to the number of Palestinian deaths in these first few weeks of the intifada. Much of the Palestinian violence was low-tech; dozens of Palestinian teenagers would confront patrols of Israeli soldiers, showering them with rocks, and accelerated to the use of Molotov cocktails, over 100 hand grenade were thrown and more than 500 attacks with guns or explosives. Many Israeli civilians and soldiers were killed this way. The IDF, in contrast, possessed the latest weaponry and defense technologies, thanks to America. In 1988, the Palestinians initiated a nonviolent movement and began to withhold taxes, but the Israel crushed the boycott by imposing heavy fines while seizing and disposing of the equipment, furnishings, and goods from Palestinian stores, factories, and homes. In 1988, the United Nations General Assembly passed resolutions condemning Israel. In July 1989, the first suicide/homicide bomber erupted inside Israel’s borders: the infamous Tel Aviv Jerusalem bus 405 massacre. No further attacks of this scale occurred until after the Oslo Accords. By the time the Oslo Accords were signed in 1993, 1,162 Palestinians, 241 of them children, and 160 Israelis including 5 children died. During the first thirteen months of the first intifada, 332 Palestinians and 12 Israelis were killed. The first intifada was not a military endeavor in either a conventional or guerrilla sense: it was a spontaneous grassroots mass movement. The second intifada was touched off by a controversial visit by Ariel Sharon, on September 28, 2000, to the Temple Mount, the site of the Al-Aqsa Mosque in Jerusalem and a site that is sacred to Jews, Christians and Muslims. This wave of violence erupted because of the frustration of Palestinians towards the failed peace process and the deteriorating economic situation in the territories. Yassar Arafat cleverly diverted any blame directed at himself as the cause for these problems, to Israel, unleashing Palestinian frustration, desperation which resulted in escalating violence. Hundreds of innocent civilians have perished because of the insane cycle of a tooth for a tooth, an eye for an eye. The death tolls both military and civilians of the entire conflict from 2000 to 2006 are estimated to be 3,651 Palestinians and 1,007 Israelis, although this number is criticized by some sources for not differentiating between combatants and civilians. During the conflict from September 2000 to January 2004, 36.2% of Palestinians killed were non-combatants caught in crossfire, while 77.6% of Israelis killed were non-combatants who died in bombings or sniper fire. Of the Palestinian victims, at least 215 were killed by fellow Palestinians, 118 of them on suspicion of collaboration with Israel. 63 foreign citizens were killed: 53 by Palestinians and 10 by Israeli security forces. But, how to get all the daughters of Zion and all of Abraham’s sons to put down their weapons of destruction and make amends? There is plenty of blame to go around, and as a tax paying American, I am responsible and connected to the over 100 billion USA dollars have been sent to Israel since 1948, so I speak out for dissent is what keeps democracies healthy. “Hopi” means Peaceful People, and the truest and greatest power is the strength of peace. Because Peace is the Will of the Great Spirit. But do not think that just because the True Hopi People have been told by the Great Spirit never to take up arms that the True Hopi People will not fight, even die for what we know to be the right way of Life. Nonviolent solidarity as an international movement throughout the world is a most powerful tool and is the only weapon people of good will have to deflate the hate that breeds terrorism. Peace needs bridges not walls and human rights only exist for any; when we all do indeed have them.